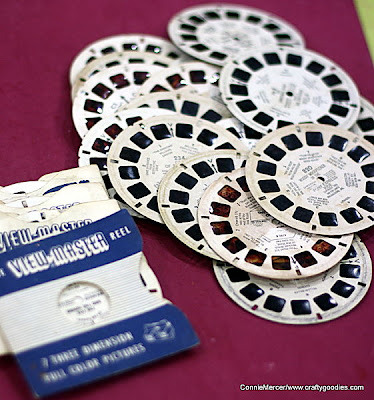 crafty goodies: Remember this~View Master reels! Helmar 450 quick Dry works great for that!! Thanks for stopping by and I'll see ya soon!!!! Wowwwwwwwww! This is GORGEOUS Connie! 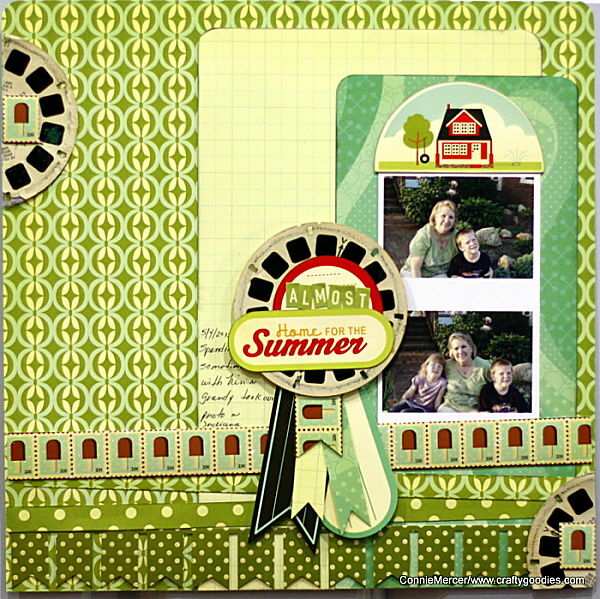 i love love love the colors and loving what you did with the viewmasters!! LOVING that badge!!! This is so cute!!! I love it Connie!! 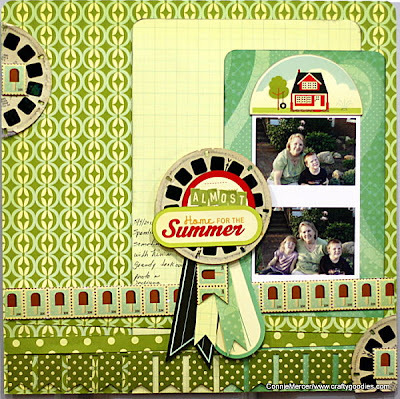 It's alway fun to see your layouts that use your vintage finds!! The green is so pretty for this page, Connie. Love how you used the View Masters too. How many more to go? LOL! What an AWESOME find! I would so have scooped those up, too!!! I'm jealous! You are so creative! What a great use for those reels. I really like the layout...it looks fantastic. This is amazing! Love all the green also. You are mega-talented. the ideas you come up with are amazing! LOVE iT! connie - LOVE what you did with the view master! awesome! What fun. 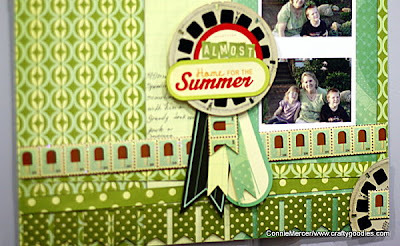 I love how you used the reels as embellishments. You should make a note on the back of your layouts when you use "vintage" pieces to what they are for future generations. Love how you used the reels! Great page!